Bedroom is located on the first floor. 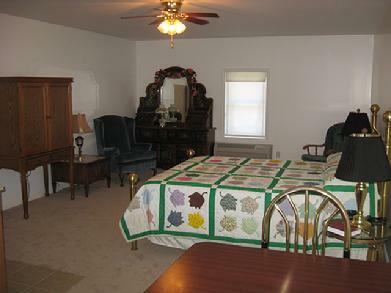 The room has a high headboard full bed, private bath, and sitting area. 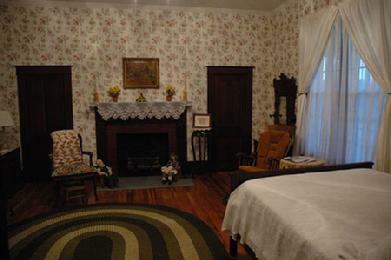 Bedroom 2, located on the second floor, has two full beds and the hall bath. It is accessed from the back stairway. 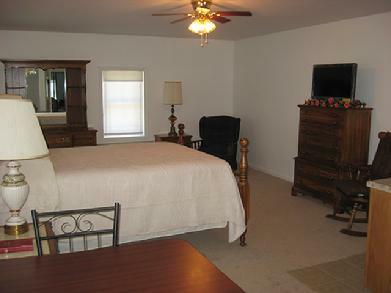 Bedroom 3 is located upstairs and can be accessed from either the front or back stairs. It has a full bed, private bath and a sitting area. This was Mammy & Pappy's Room. 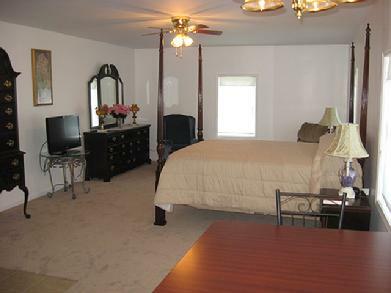 Bedroom 4 is located upstairs and is accessed from the front stairway. It has a full bed, a private bath, and sitting area. Bedroom #1 above the banquet hall. 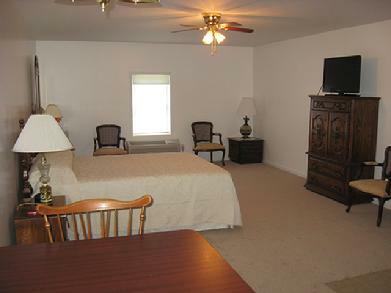 Queen bed, Flat screen TV, mini refrigerator, micro wave, and coffee pot are available for your convenience. Bedroom #2 above the banquet hall. Queen four poster bed. Flat screen TV, mini refrigerator, micro wave, and coffee pot are available for your convenience. Bedroom #3 above the banquet hall. Queen bed, Flat screen TV, mini refrigerator, micro wave, and coffee pot are available for your convenience. Bedroom #4 above the banquet hall. Queen bed. Flat screen TV, mini refrigerator, micro wave, and coffee pot are available for your convenience. 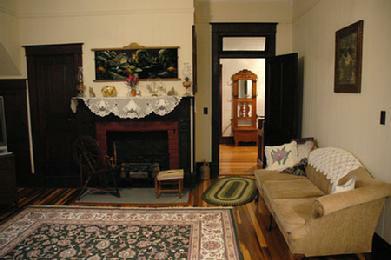 Enjoy our large living room where many family functions have been held throughout the years. Oh, we aslo have a big screen TV if you just need that fix. Relax and spend time under the gazebo. Enjoy a cup of coffee, read a good book or just enjoy the view. A fitness center is located upstairs in the banquet hall. 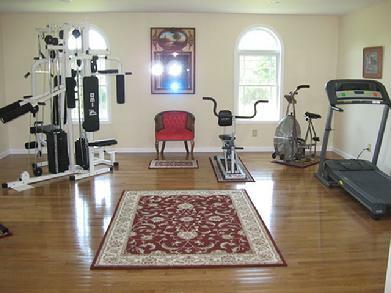 This fitness center is available for all guests of Mammy & Pappy's.